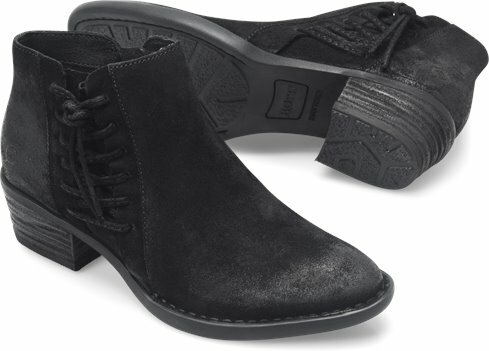 A stylish, everyday bootie defined by its comfortable heel and chic lacing that runs up the side. Love these boots. Born has always made a quality shoe so I am never disappointed. 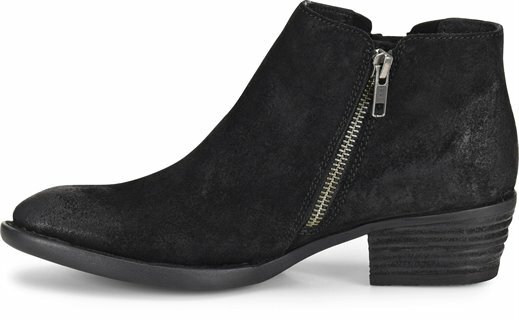 I love this boot! It’s nice soft suede. It looks good and is really comfortable. I love the detailing on it too! I want to order it in black. I’m a 9 1/2 so I ordered up to a size 10. And it fits good and I can wear a little thicker sock.